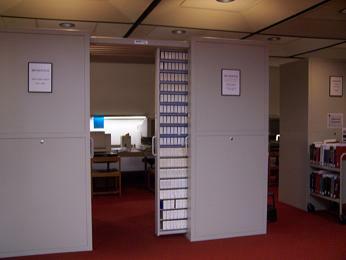 Three microfilm readers are located on the main floor of Preus Library, in the southeast corner, past the DVD collection. All three microfilm readers are connected to printers, which cost $.10 per page. In addition, one microfilm reader is also connected to a computer to allow scanning to digital format. For help or questions about the microfilm readers, contact the Circulation Desk staff. Library maintained by Ryan Gjerde. Page last updated on 6 November 2017.